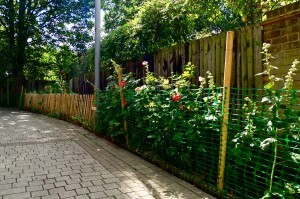 Community gardening: What a difference! 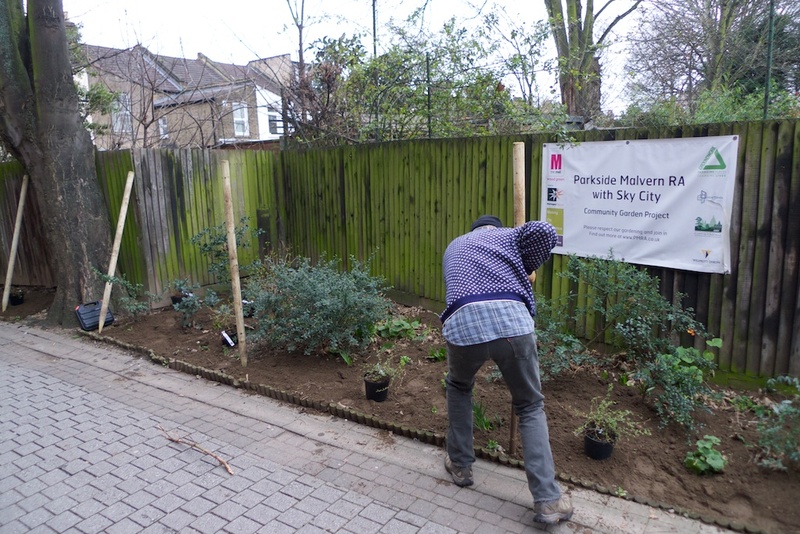 Each first Saturday of the month Hornsey Park residents are out and about to do a spot of gardening. Nothing serious, a couple of hours spent in the company of fellow inhabitants of the area, everyone contributing as much as they can, a bit of litter picking here, a bit of planting there, nobody is expected to be an expert or fall over from exhaustion. Everybody's welcome. It's fun, opportunity for a neighbourly chat and usually there is a cup of tea and a biccie in it. 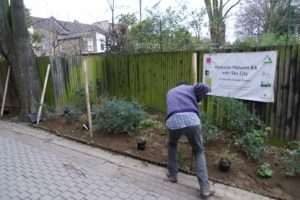 Our Lavender Garden on the corner Hornsey Park Road and Clarendon has transformed a derelict, unsightly patch into a tiny urban oasis which offers a place to rest for humans and ample supply of nectar for all species of bees. It didn't take a lot of work, just some inspiration and determination. Well, and a bit of work of course, all supplied by ordinary local folk, plus the support of the council and local businesses. 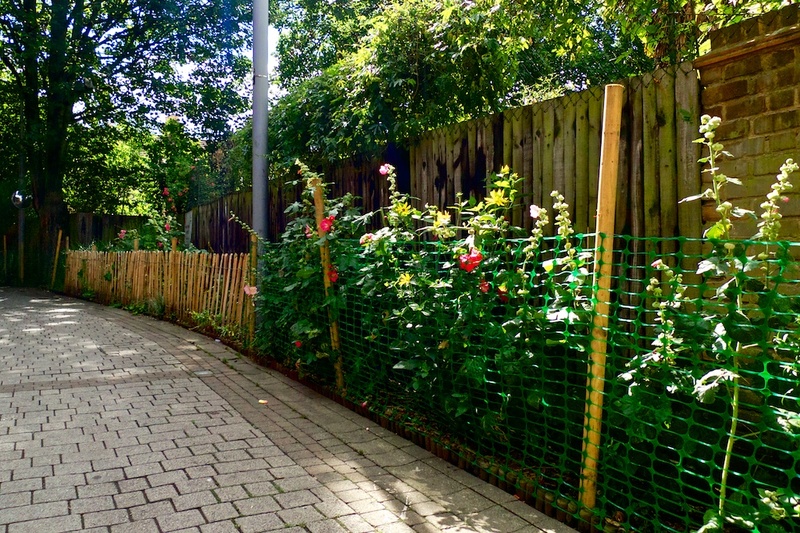 The biggest transformation, however, I have seen, has occurred in Martins Walk, a forgotten alley that sneaks around the back of the shopping centre, providing a vital link for pedestrians from Mayes Road to the High Road. Nobody ever expected anything ever to grow there, located as it is in the shadow of Sky City and the Mall, encased in towering bare walls and grey fences. But that didn't stop Dorothy and other residents from the area to dig and plant, water, and nurture off-shoots from their own gardens. The love and care given to the barren soil surely paid off. The alley looks just a little bit friendlier.